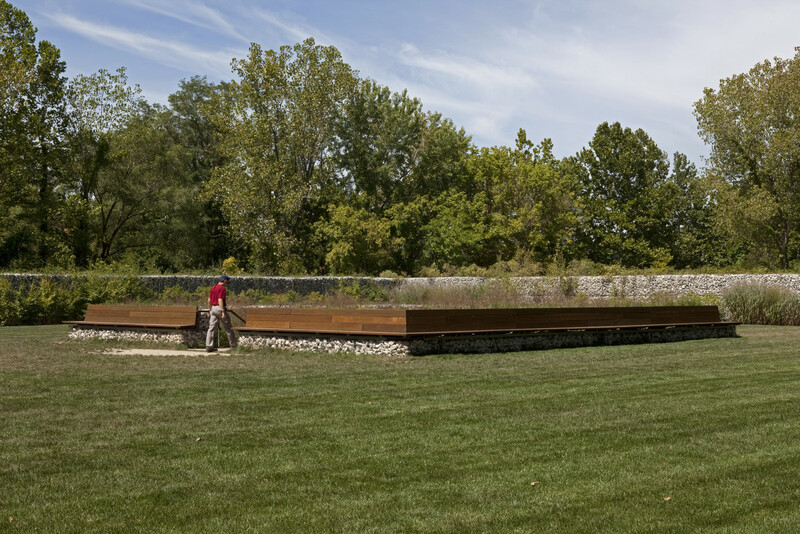 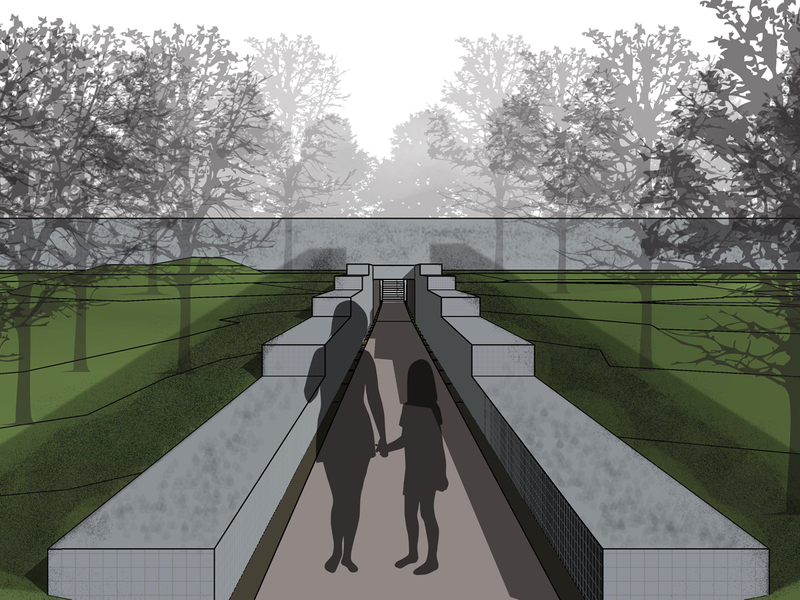 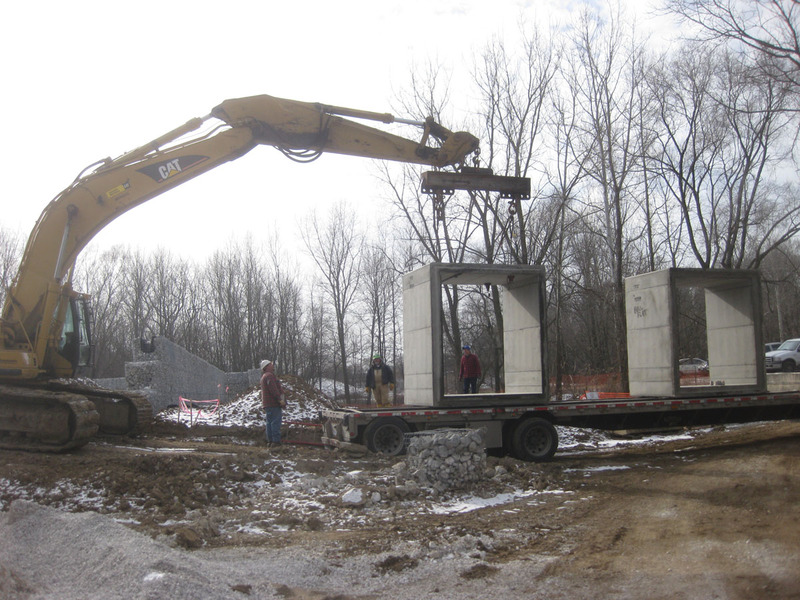 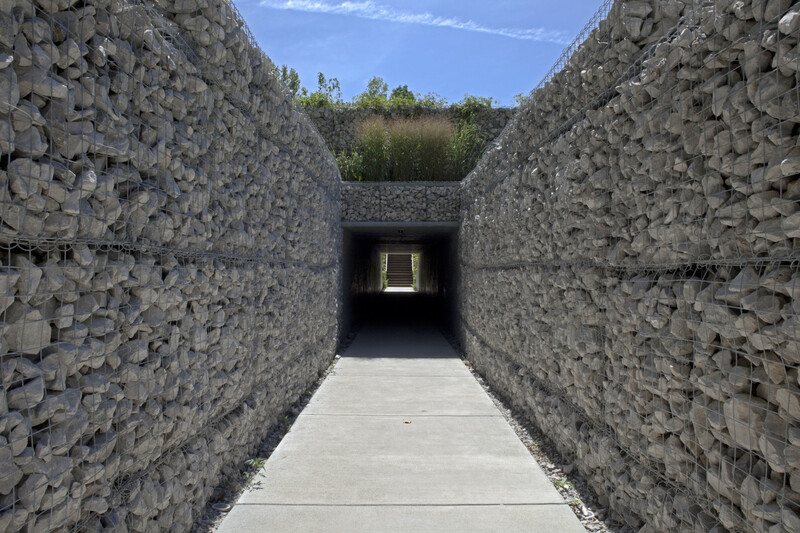 Wheeler Kearns Architects was selected by the Indianapolis Museum of Art to assist Chilean-born artist Alfredo Jaar in the technical aspects of design and the construction of this outdoor landscape sculpture. 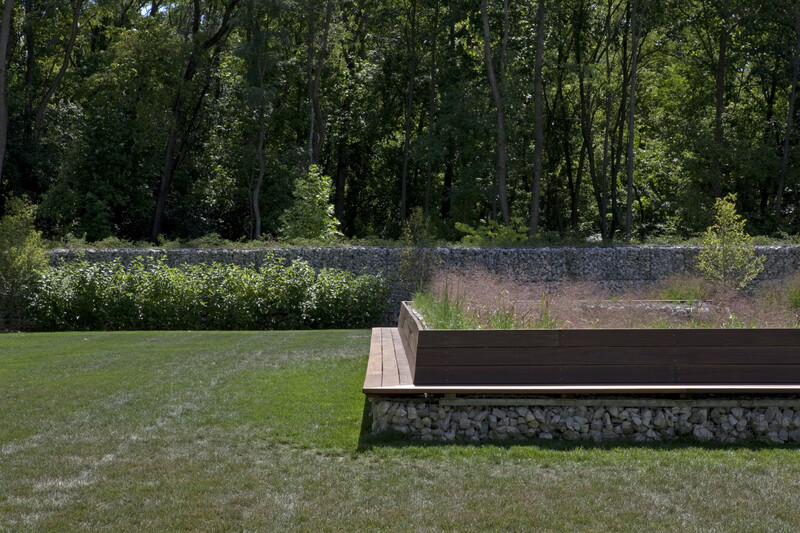 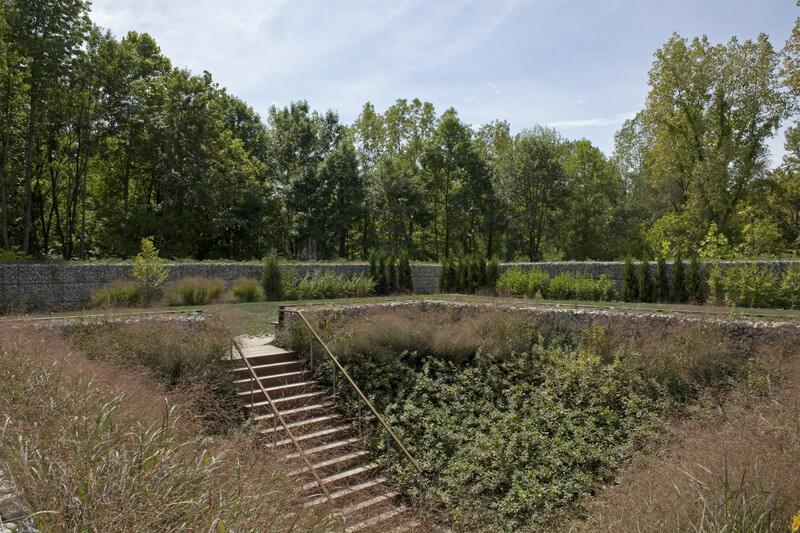 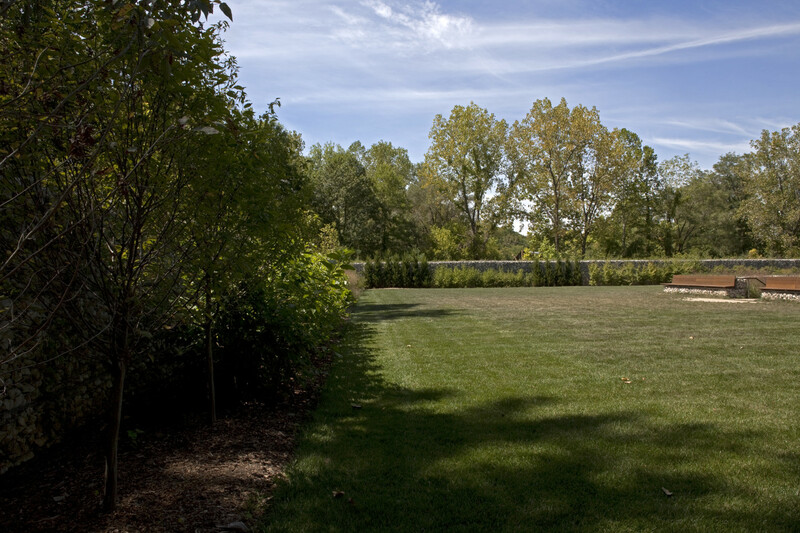 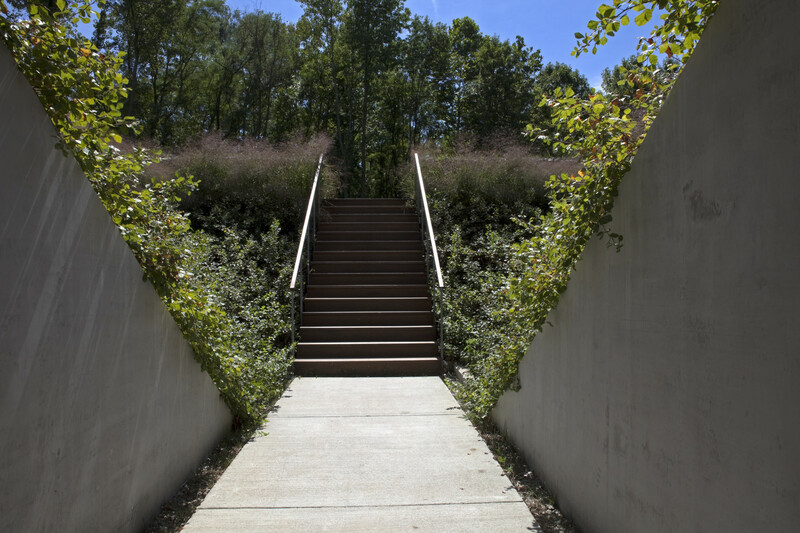 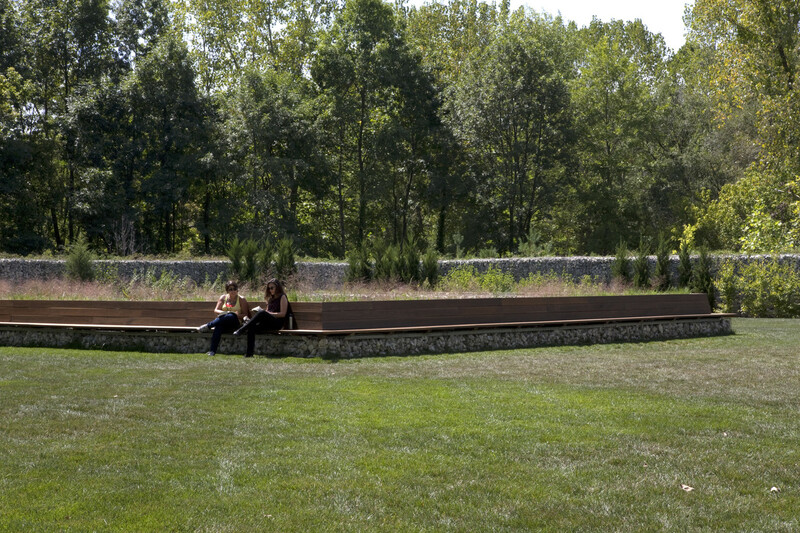 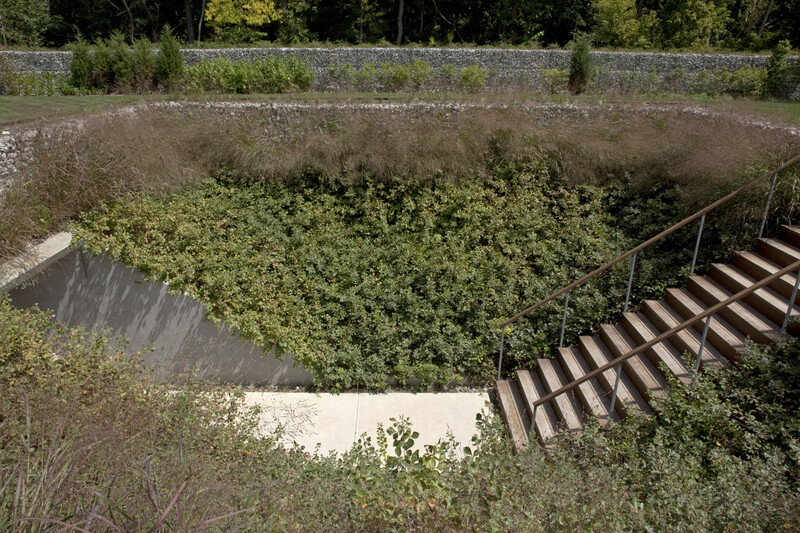 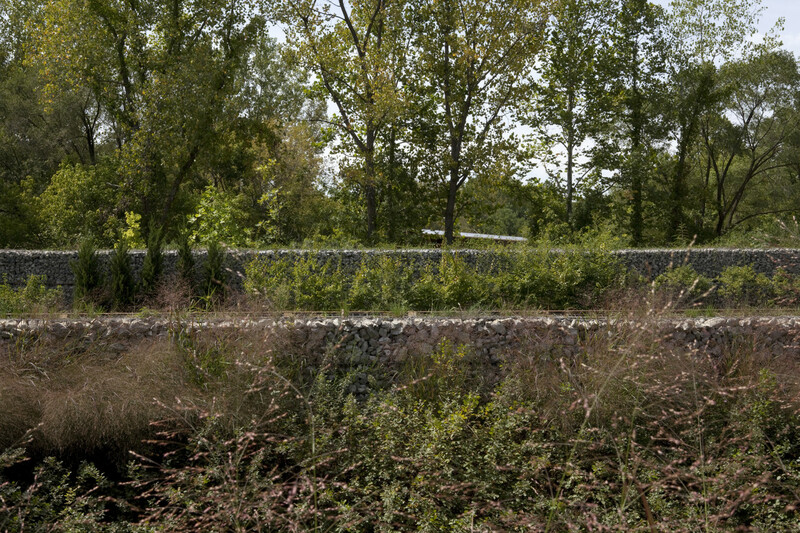 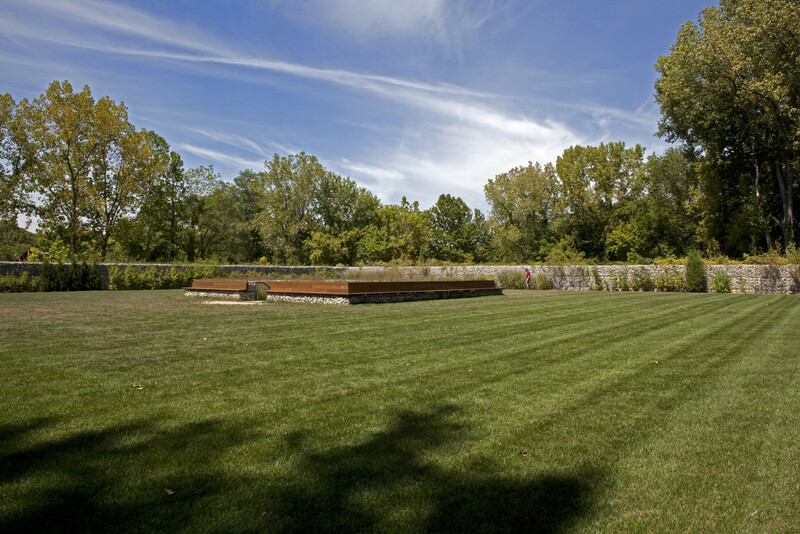 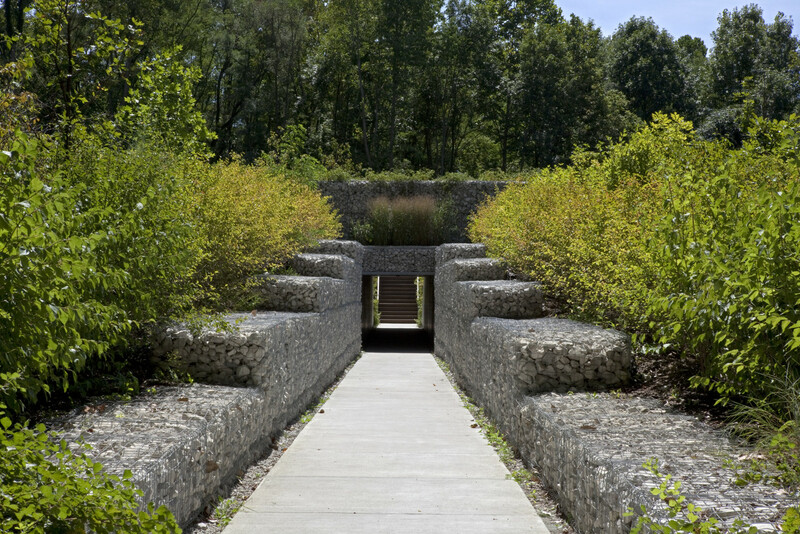 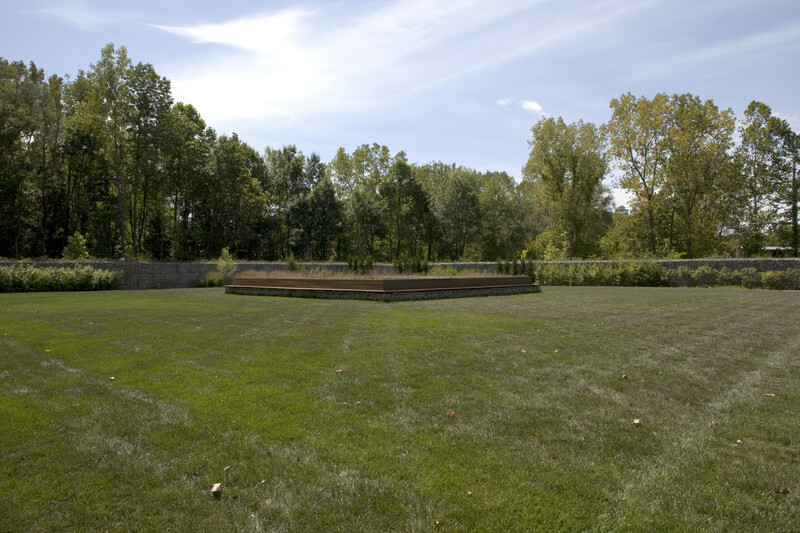 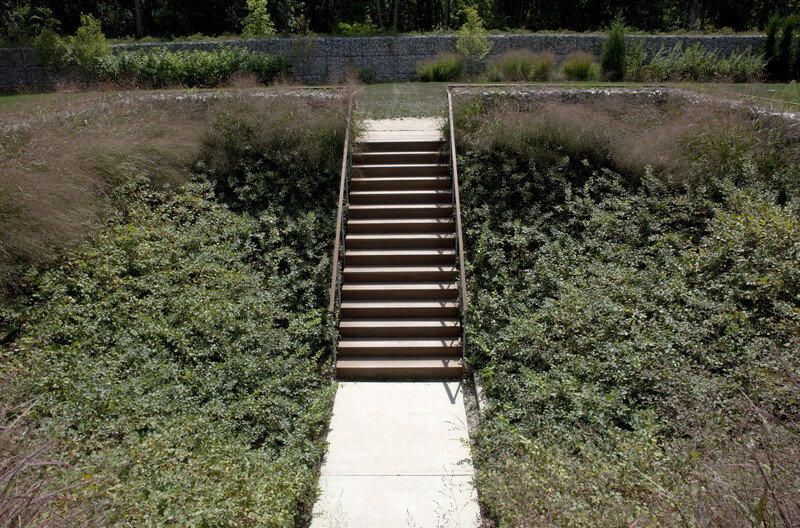 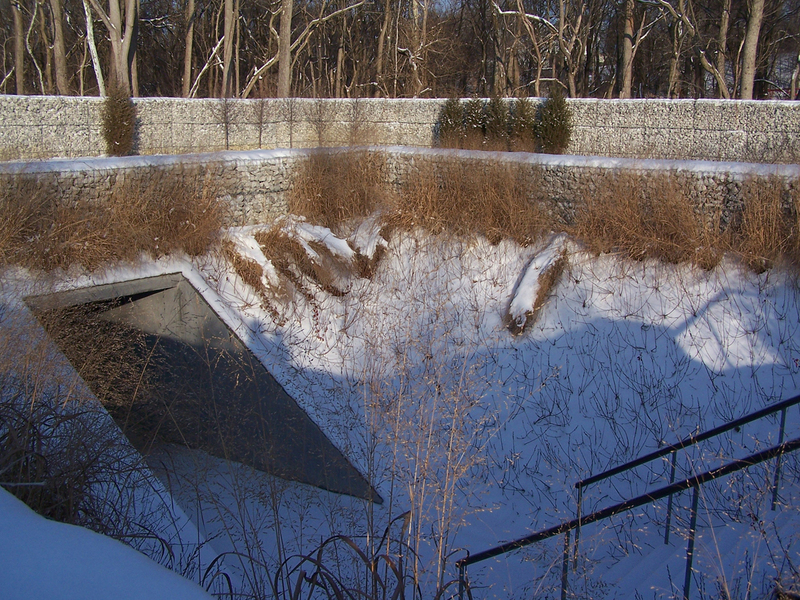 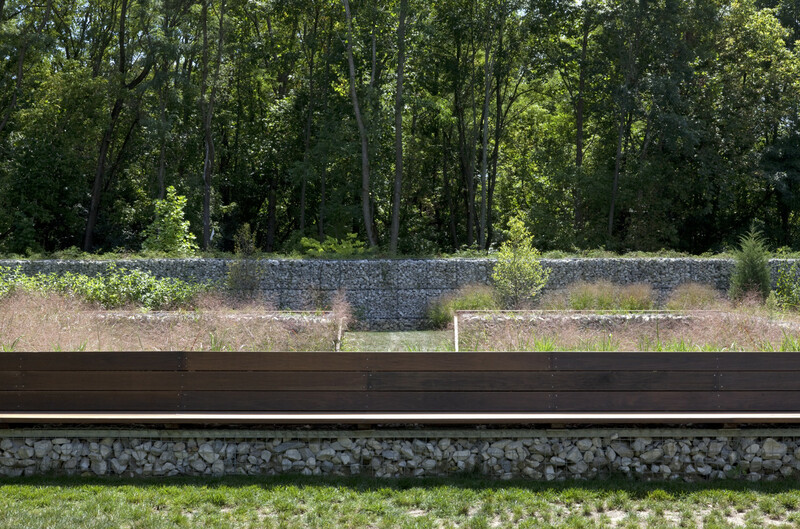 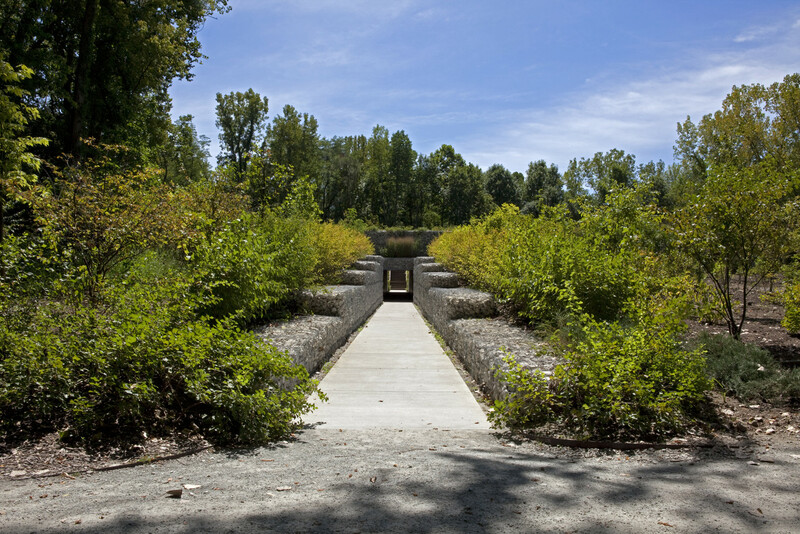 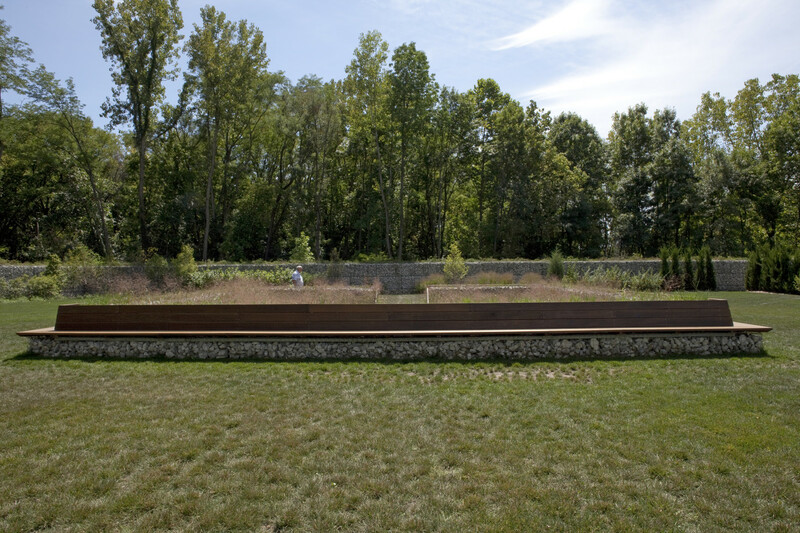 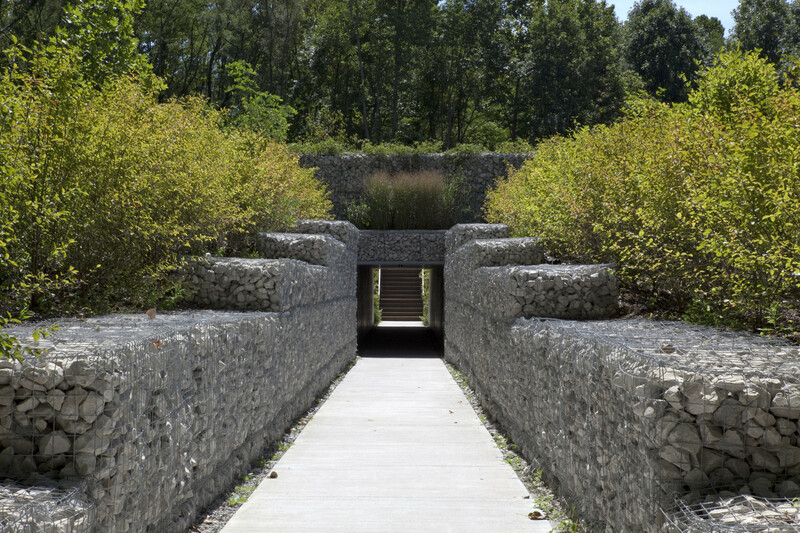 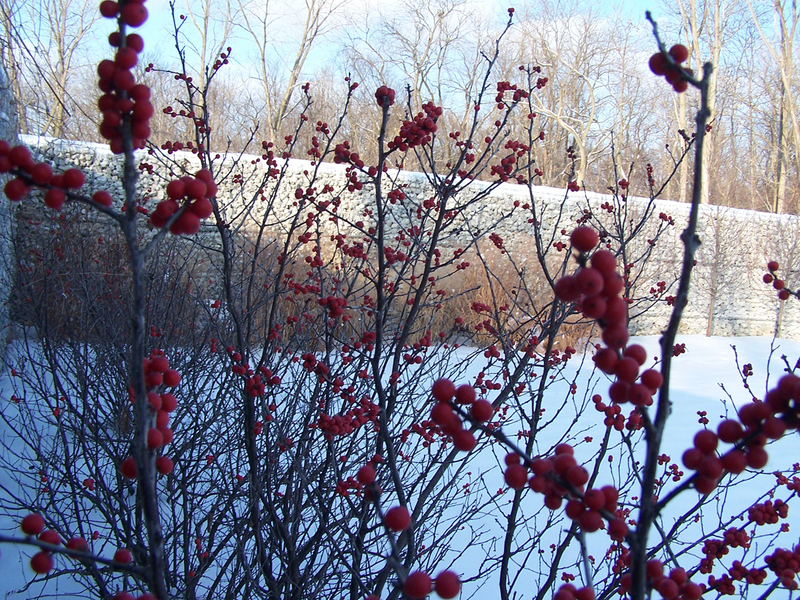 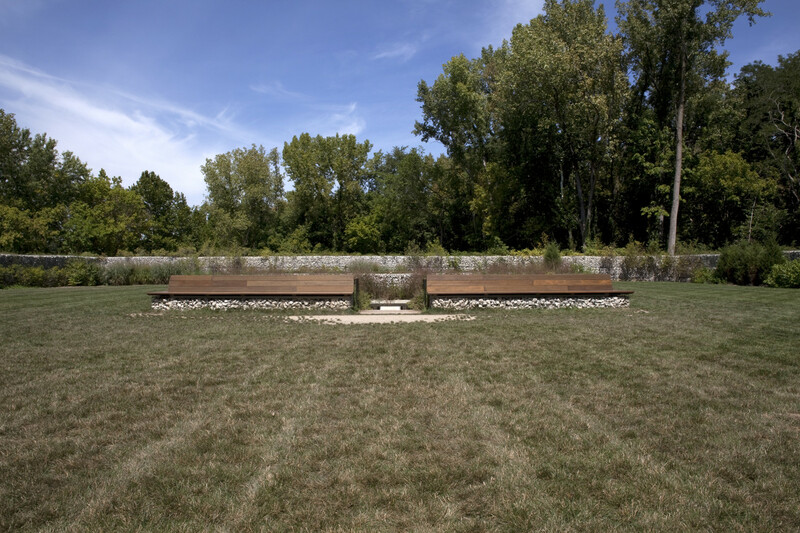 Located in the Virginia B Fairbanks Art and Nature Park, a 100 acre sculpture preserve adjacent to the museum, the Park of the Laments acts as an isolated contemplation space to reflect on the atrocities of the 20th and 21st centuries and find healing in the natural beauty of the interior space. 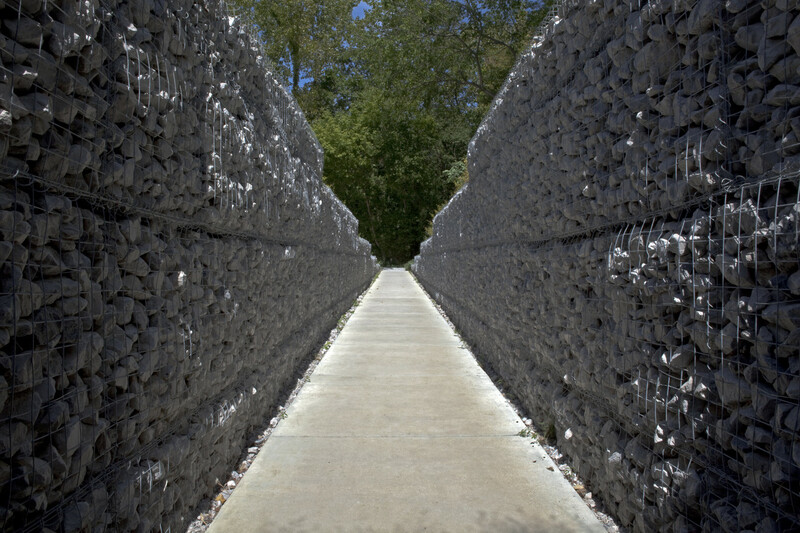 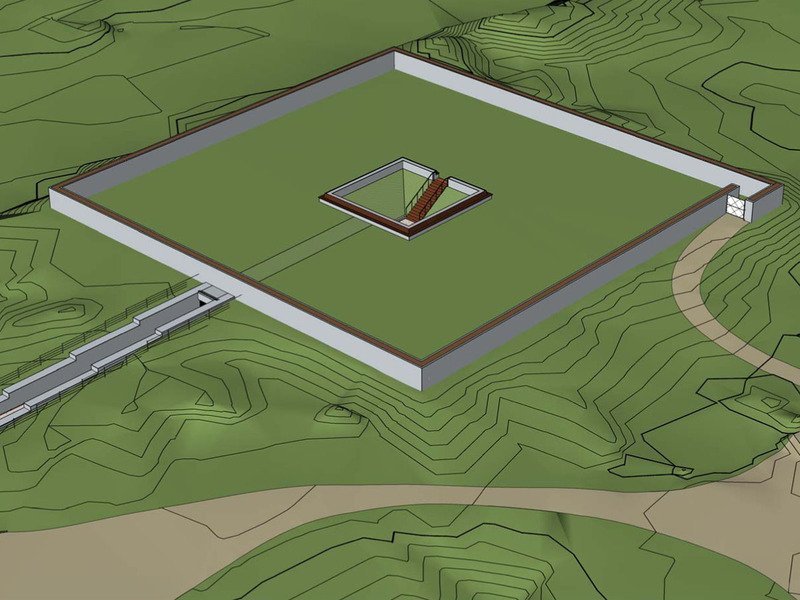 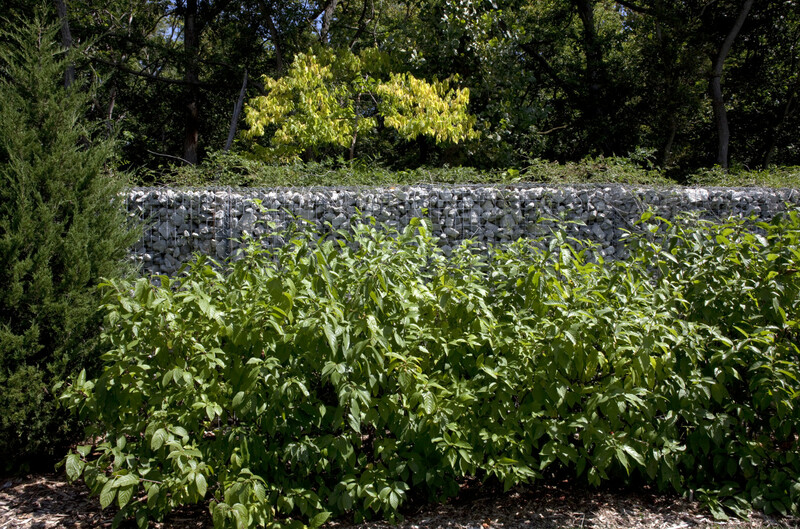 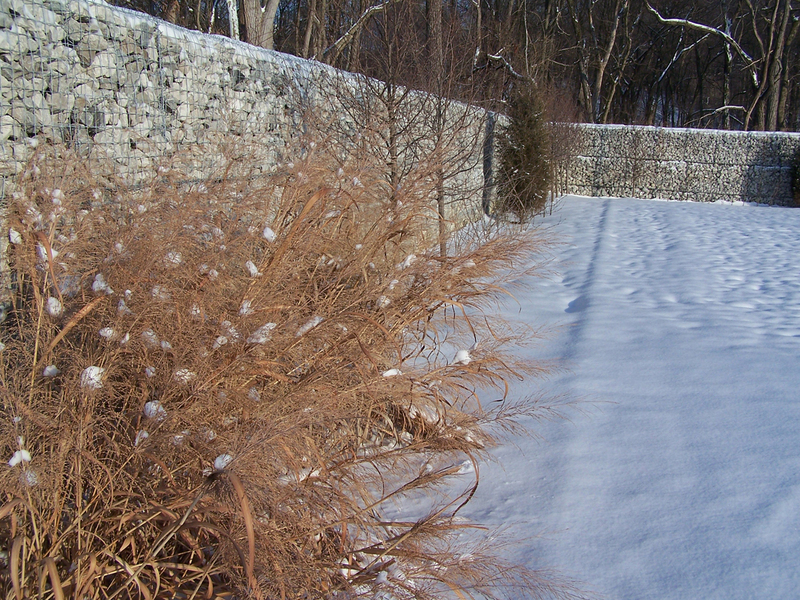 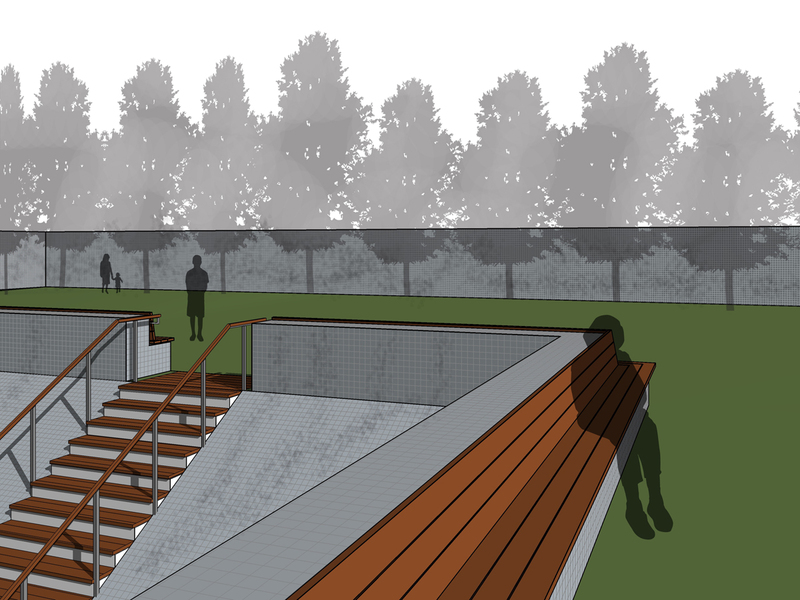 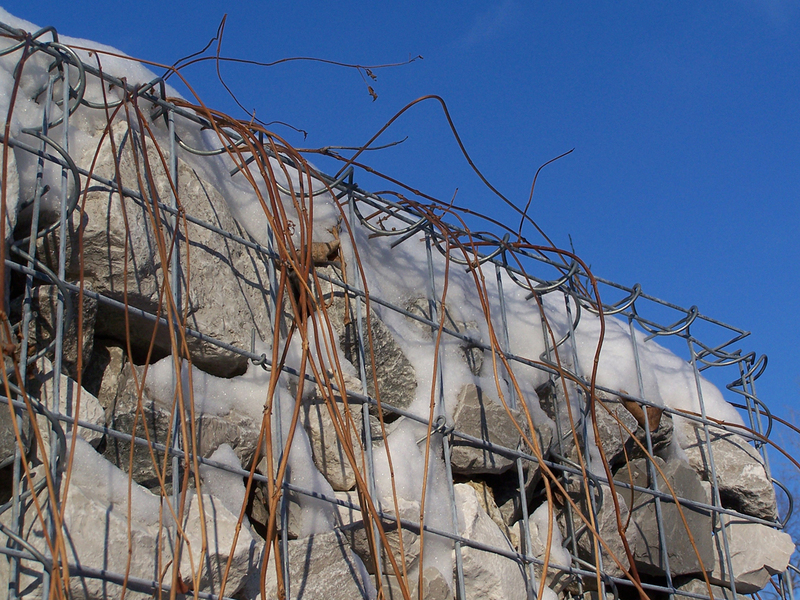 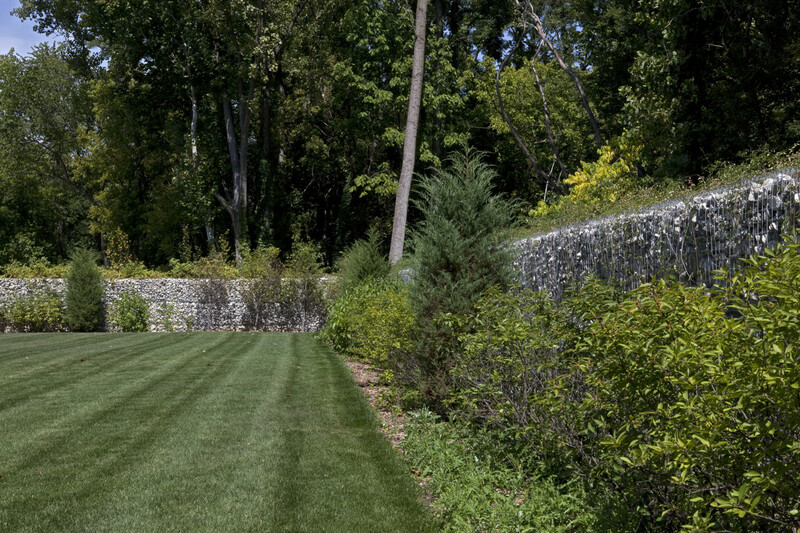 The Park of the Laments is surrounded by gabion rock walls to separate the inner space from the rest of the park. 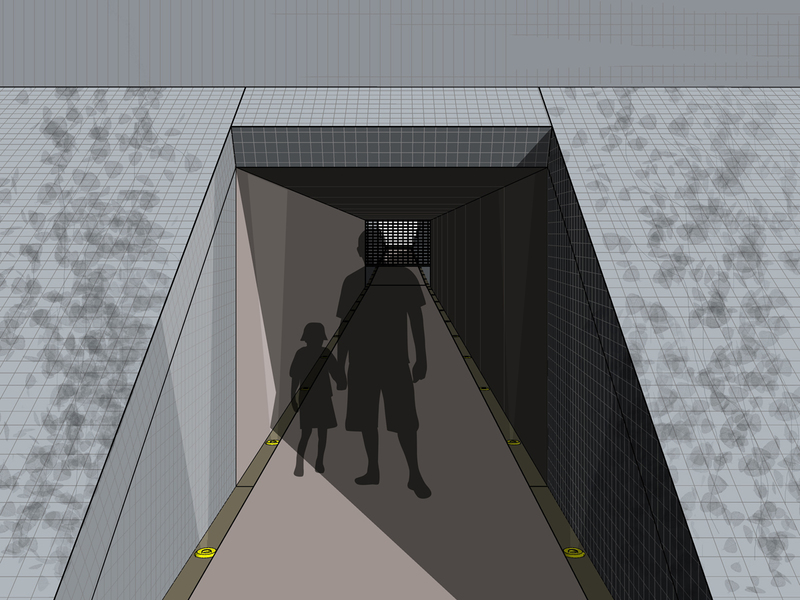 The inner space is accessed through a concrete tunnel carved into the site’s topography that acts to spatially compress the visitor with ominous feeling. 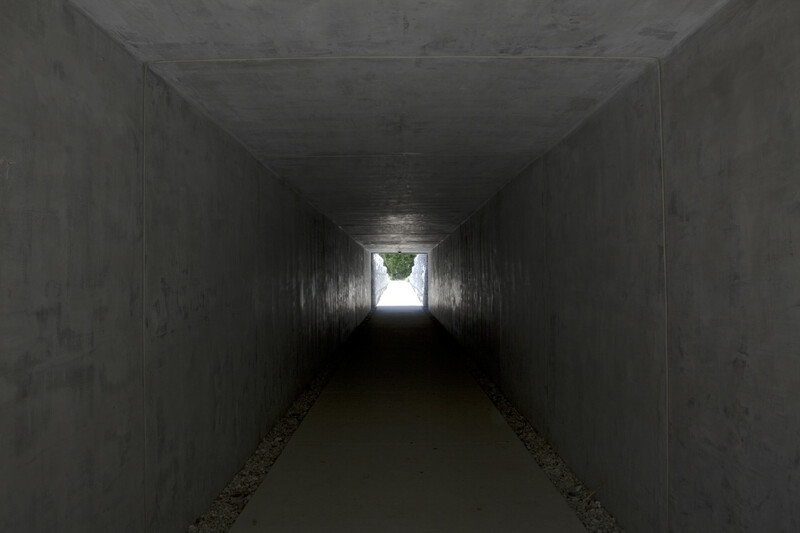 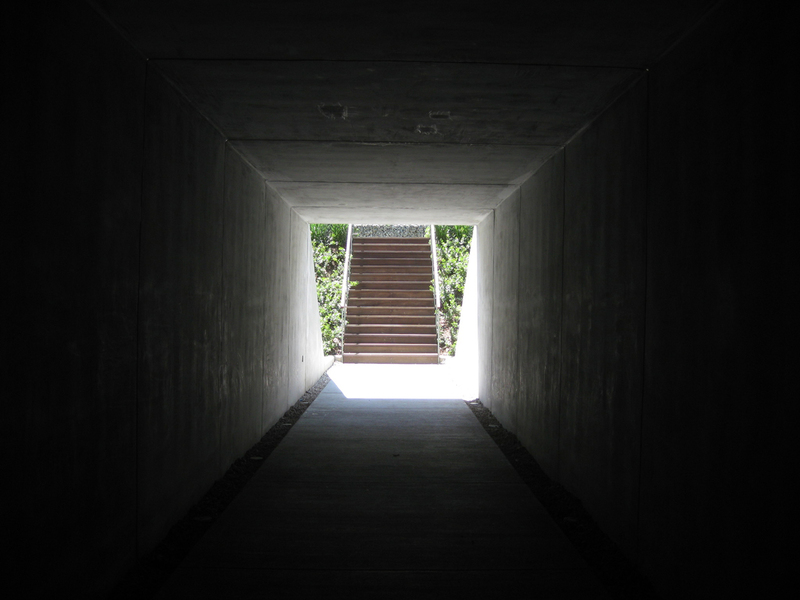 Literal light at the end of the tunnel directs the visitor to the bottom of a stepwell, where a stair leads visitors to the phenomenological release of the large square inner park space. 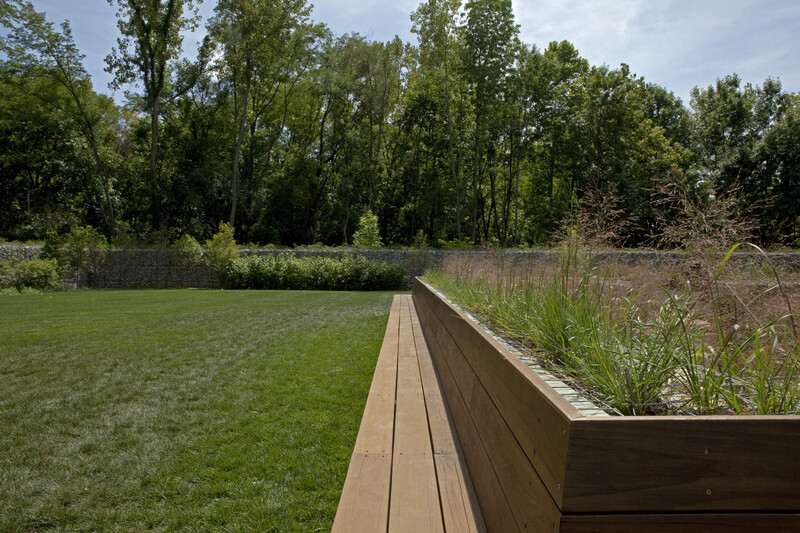 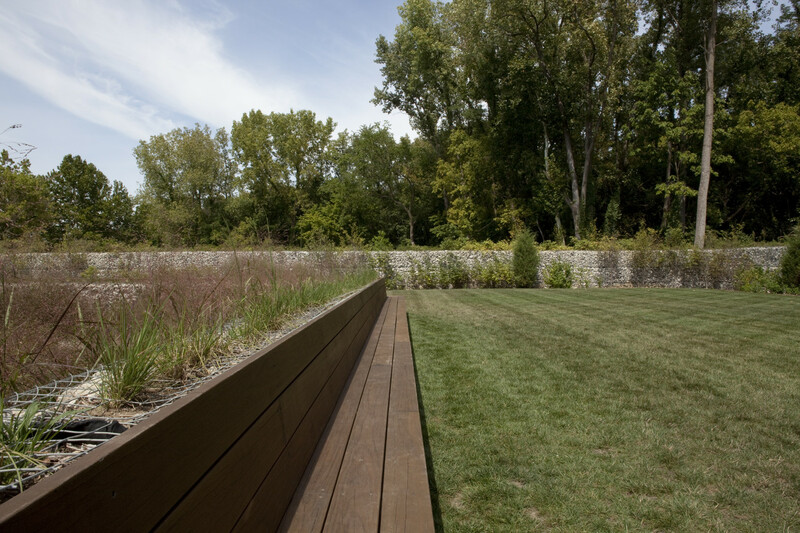 Wooden benches surround the stepwell affording visitors a seat to reflect in the visually and acoustically quiet space.